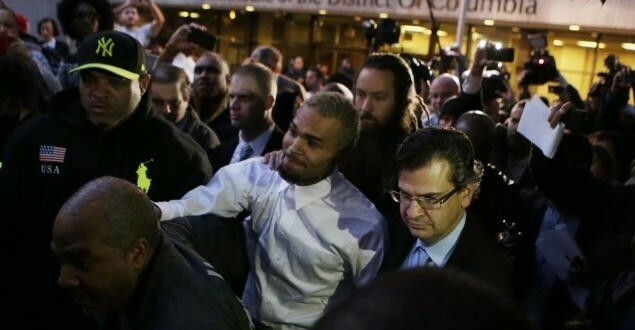 Chris Brown has decided to cool off his heels and checked into rehab for Anger Management. After the D.C assault case was spinning out of control, Chris Brown need to take some action to bring him back in control. The singer was hauled off to jail early Sunday after a 20-year-old man claimed Brown punched him in the face. Chris Brown has checked into a rehab facility for anger management after allegations that he broke a man’s nose landed him in jail, his lawyer said Tuesday. The prominent lawyer said the self-imposed stint was far from “an admission” of guilt with respect to allegations Brown punched a man over a fan photo in Washington, D.C.
“Why now? People have realizations at various times. Maybe sitting in a jail cell for 36 hours for something you didn’t do is enough to rock you a bit,” Geragos said. Geragos said Brown met with his probation officer earlier Tuesday and didn’t limit the length of his rehab stay. Mila Kunis' Awesome Interview! WATCH! Previous: 95-Year-Old Target Employee Retires After Working For 45 Years! Sandra Bullock & Chris Evans Dating? The Host Movie Trailer Released! Miley Cyrus Quit Bonnie & Clyde?